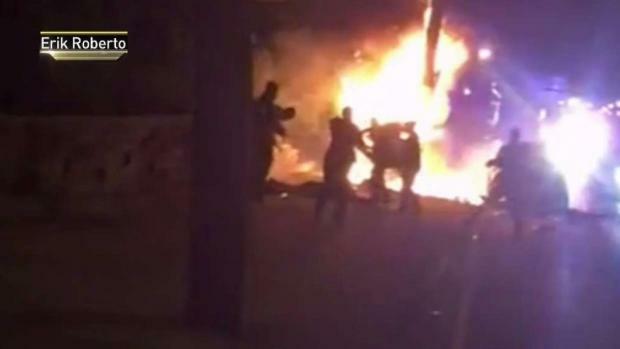 Four Jersey City police officers, including a lieutenant, have been suspended indefinitely without pay amid growing outrage over video that showed cops kicking a burning bystander caught up in a chase and fiery crash last week, the city's mayor said Monday. Mayor Steven Fulop, who had previously called called for the officers seen in the video to be fired, also said two supervisors were transferred in the wake of the video surfacing. The city's public safety director, James Shea, joined Fulop in making the announcement. 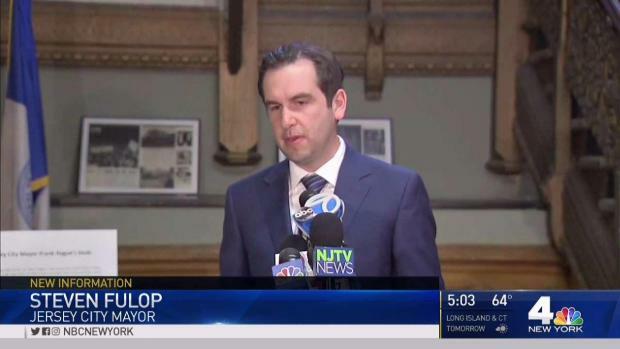 The next step, Fulop said, is up to the prosecutor. The man seen on video being kicked by officers June 4 turned out to be 28-year-old Miguel Feliz, an innocent man on his way to work who got caught in the fray, not the driver that police officers were pursuing, the Hudson County prosecutor's office said last week. 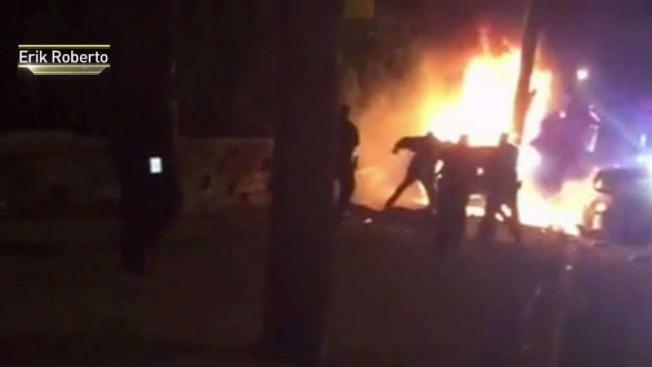 Video of an innocent man being kicked by police officers as he was burning has stirred outrage in Jersey City. The family of the innocent bystander, Miguel Feliz, are reacting. Wale Aliyu reports. Fulop says the officers not only handled the crash wrong, but also the preceding 6-mile chase in which officers opened fire from their police car. “You should not be firing a weapon from a moving vehicle -- this isn’t the movies,” Fulop said last week. He reiterated that position Monday. 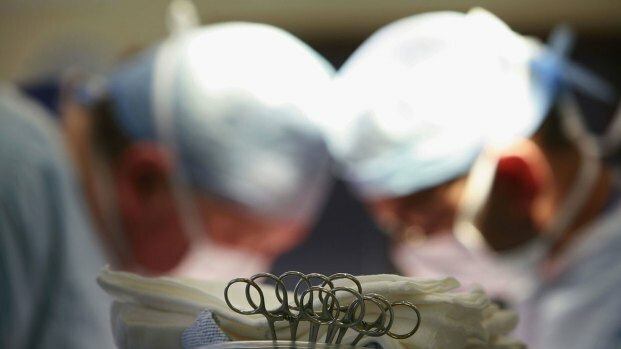 Feliz has undergone surgery for serious burns and remains hospitalized. His family says he also has fractured ribs -- and a long road to recovery before he can spend time with his family and 6-year-old son. Angeanette Munoz said it has distressed her son to have to see his father in the hospital. “He was expecting him to be at his kindergarten graduation, so this is very hurtful,” Munoz said. Ramon Feliz said he initially thought police were helping his brother out of the burning vehicle, but then he saw the video. “When the video came out, the truth came out,” Feliz said. The man who recorded the encounter, Eric Roberto, told NBC 4 New York he witnessed the officers kicking the injured man and dragging him into the street. The Hudson County Prosecutor’s Office has not yet said why police were chasing 48-year-old Leo Pinkston, but Pinkston is facing several charges related to the chase and crash, including eluding and aggravated assault. Authorities said Monday he was shot at least one leg during the police pursuit, but before the fiery crash. Hudson County Prosecutor Esther Suarez said her office's investigation is ongoing. She said her team is conducting a review of multiple crash probes involving more than five vehicles and reviewing more than 15 videos containing several hours of evidence. They are also interviewing 20 witnesses and conducting a ballistics investigation of multiple shootings, Suarez said. “We will consider this evidence in its entirety as we investigate the actions of all individuals who were involved,” Suarez said in the statement last week.